Today I did a reading for my daughter. She had just woken up for the day and was sitting beside me, on my floor as I threw some cards for the other readings I had scheduled for the day. She asked me if I would do one for her, how could I refuse? 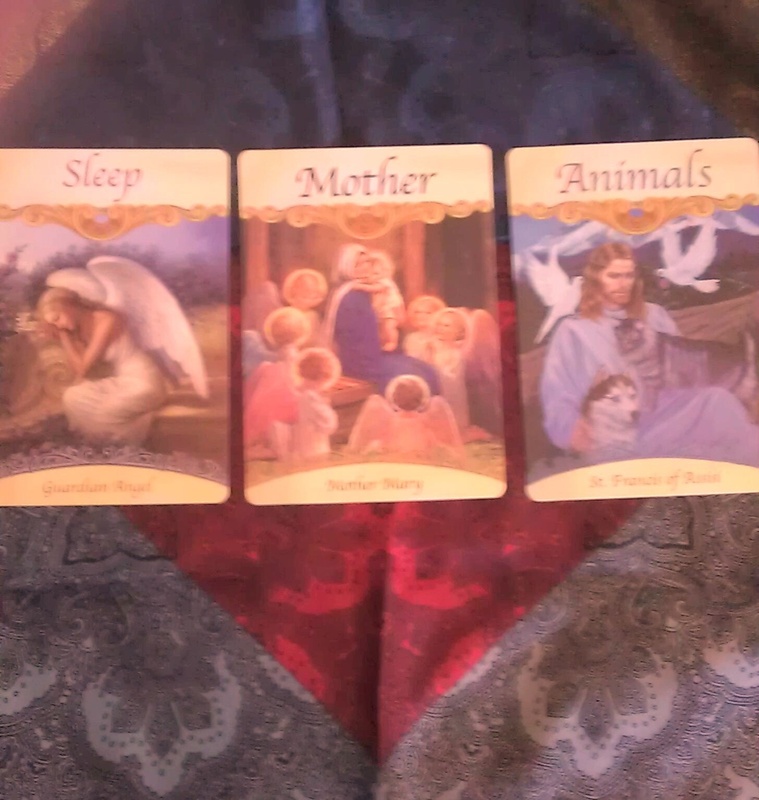 I selected Doreen Virtue’s “Saints & Angels” Oracle Cards, and selected the 3-card spread. The results were SO specific, and well, “cute,” for lack of a better term, that I knew a blog was in order. This card was depicted as Mary, Mother of Jesus, but at that present moment, my own little angel was with ME – her mother! In her “future” position, she got “Animals,” as depicted by St. Francis Assisi. Her first chore of the day is typically to feed the dog. I realize that this reading was very “basic” but this is truly how simple and easy readings really ought to be. It wasn’t anything overly illuminating, nor any crazy discoveries, made. It was simply a nice way to start the day with my little one, and a fun reminder to her that the dog was waiting patiently for breakfast. Glitch at Fiverr.Com = $5.00 readings HERE!